Congratulations on wrapping up your high school education! Please reach out to our Director of K-12 Partnerships with any questions about the transfer or transition process. 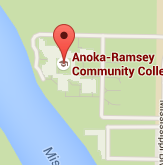 Continue your college education with high-quality and affordable degree and transfer pathways at Anoka-Ramsey. You already applied to Anoka-Ramsey when you first enrolled in Concurrent Enrollment courses, so no there is need to apply again. Look up your StarID and password. You were assigned a StarID and created a password when you first applied. Don’t remember? Look it up and reset your password at starid.minnstate.edu. Update your major. To better assist you in transferring and degree planning, update your major online using the Declare/Change Major eform. Learn more about Anoka-Ramsey's financial aid process and how to get started on your FAFSA by visiting our Cost and Aid page. Anoka-Ramsey offers numerous scholarships. Students should also investigate what scholarships may be available through your high school or in your community. Request your official transcripts to be sent to Anoka-Ramsey once you’ve completed your coursework or finished your CLEP/AP exams. Visit the UMN, AP or CLEP website for information on how to request your official transcripts. Any credits taken at Minnesota State colleges and universities can be pulled in for free using this easy Minnesota State Transcript Retrieval form. Don’t delay registering for courses while waiting for your AP exam scores or final grades. Your advisor can help you plan for your expected transfer classes. Attend an orientation and registration session to meet with your academic advisor to plan the rest of your degree or transfer pathway. Orientation and registration sessions will be available for sign up in early April. Use the credits that you’ve earned while in high school. Anoka-Ramsey is accredited by the Higher Learning Commission (HLC), so we have great transfer relationships with many Midwest colleges and universities. 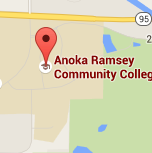 Anoka-Ramsey is part of the Minnesota State colleges and universities system. If you’re transferring to any school in the system, sending your transcripts is free. All Minnesota State schools can pull your transcript directly from Anoka-Ramsey at no cost. Check the website of your future school to see if you need to complete a transcript request form. Don’t forget, some of your classes may not be graded until June so you need to request your transcript again once all of your credits are completed. Anoka-Ramsey's transfer resources can help you request an official transcript online or view your unofficial transcript. There is typically a small fee to send an official transcript, but unofficial transcripts are free to access. Want to get an idea of how your Anoka-Ramsey credits will transfer to other schools? Make a free account with Transferology. Many of colleges and universities in Minnesota, and some schools in Wisconsin, South Dakota and North Dakota use Transferology. If you don’t find information there, visit the website of the school you’re interested in. Anoka-Ramsey’s Academic Advisors are always available to meet with students to discuss the transfer of their Concurrent Enrollment courses. Advisors can also discuss the best Concurrent Enrollment/AP/CLEP options for students for their desired degree/program.